Have you ever compared a fistful of paint swatches to decide on the perfect color to paint a room, only to end up disappointed when the applied paint looks different on the wall? If so, then you’ll definitely want to take a peek at this fresh new project that’s on Kickstarter. 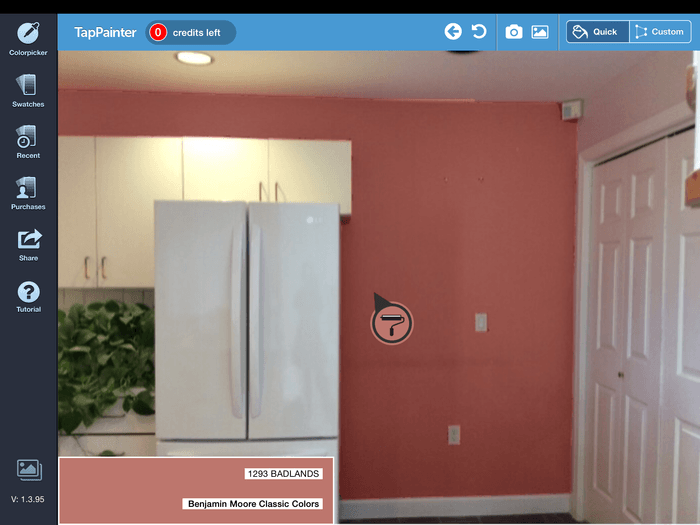 TapPainter is an app for iOS (and potentially Android if the project raises enough money) that allows you to snap a picture from any point in a room and cover the walls with realistic, color-accurate virtual paint. Now, to be sure, virtual reality painting apps like this aren’t exactly new, but the few that are available right now are extremely basic, and typically don’t produce true-to-life colors. TapPainter is considerably more sophisticated. Using a set of specially-designed algorithms that detect things like wall edges, specular highlights, lighting distribution, and shadows, the app is able to analyze the picture of your wall and find the “reference,” or original color within that selected region. 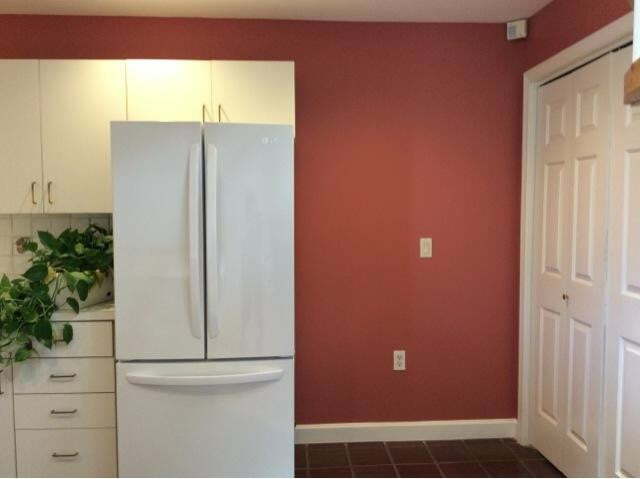 Using that reference image, the app automatically adjusts colors you pick to show how they would actually look if they were painted onto your wall. As far as we can tell, this is the only application that can do this right now. Once you’ve found a color you like, the app will present you with a range of different color codes from different paint manufacturers, so all you have to do after that is run to the hardware store and have somebody mix the color for you. Don’t believe it works? Check out the two photos above. The first one is TapPainter’s virtual representation of paint on a wall, and the second is a picture of the real wall after it was painted with the color suggested by the app. They look identical. The app is already available for iPad. The Kickstarter campaign exists to help creator MDi Touch raise funds for additional development. The team is hoping to bring TapPainter to the iPhone and Android devices, and also add improvements to the color picking algorithm to make the app even better.